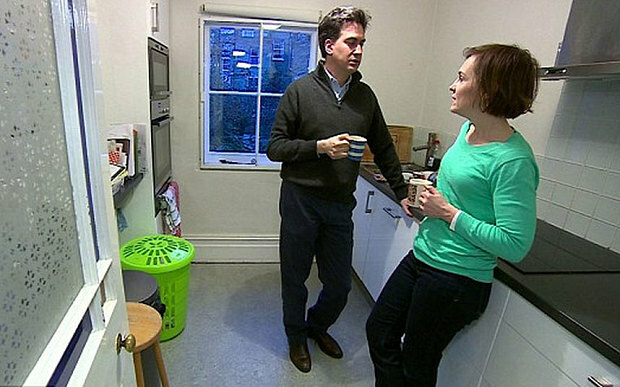 I love a good property based storm in a teacup, appropriate this week as we’re told that’s all Ed uses this rentalesque space for, despite it appearing to all intents and purposes like, um, a fully fitted kitchen. I feel a bit sorry for him to be honest, having such poor PR advice, because none of us would have minded seeing the real and probably super impressive family kitchen instead of this magnolia monstrosity. To a designer obsessed with Pinterestable beauty, the above is a #fail on many levels: uninspiring white doors and predictable handles, crashingly boring tiles, alien phlegm coloured bin and don’t even get me started on that wonky ill-fitting blind. But more than that it’s revealed an interesting London / Rest Of The Country divide over what’s posh and what’s not. Posh for most normal people is the fact there’s even a double oven and the casual dismissal of the space as a “functional kitchenette by sitting room for tea and quick snacks” by Jenni Russell shows how out of touch wealthy Londoners are with regular life. 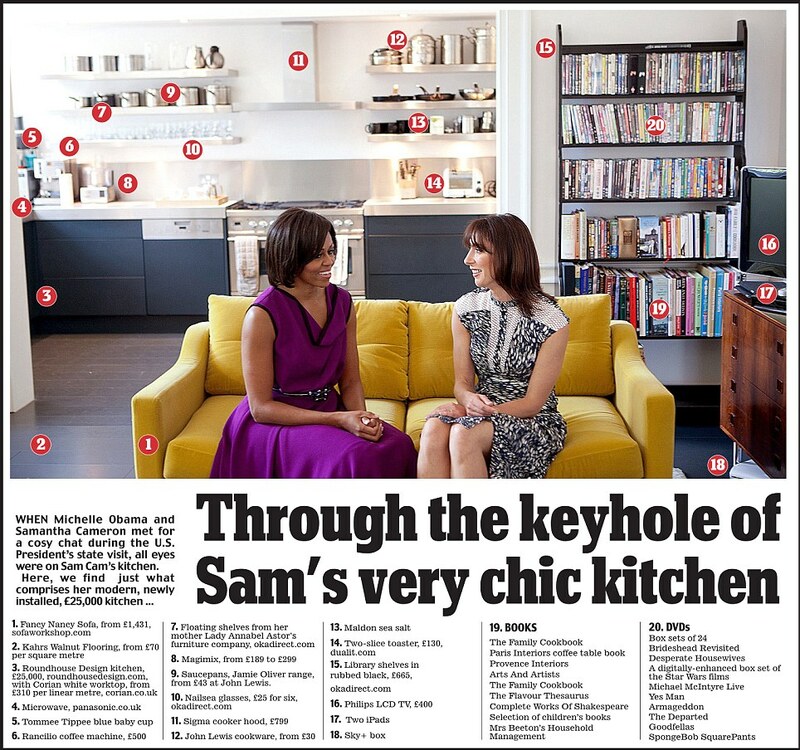 They definitely should’ve gone down the SamCam route and let us see the proper kitchen for a good nosey round but I do wonder whether maybe the Red space didn’t match up to the Blue space with its on trend handless graphite doors, open shelving and sleek splashback. Two kitchens are for people with staff, people who get chefs in and people who ‘cater’, not people who just live. And that’s fine, we see luxury pads owned by bankers, oligarchs and footballers whose main kitchens have clearly never been sullied with an oil splash because there’s a ‘catering space’ elsewhere, we just don’t expect to see that in our politician’s homes. Hell, even Downton Abbey only had one cooking area!